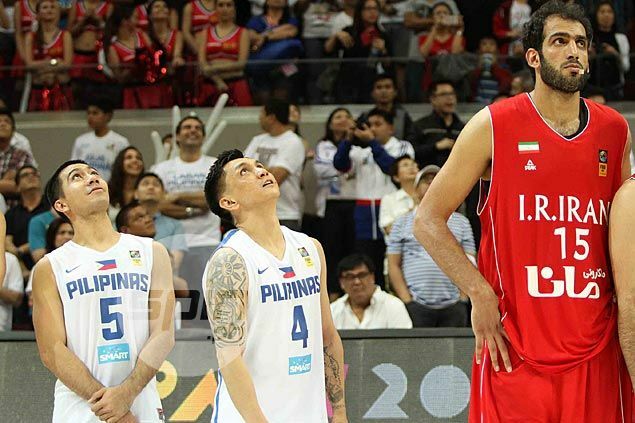 While browsing the web about LA Tenorio, I saw an image of him with Jimmy Alapag standing next to Hamed Haddadi, the Iranian veteran NBA player. I was amazed at how much their height difference from Haddadi would actually matter when they are standing beside him and not in a moving phase. You would ask yourself "How could they make a score to the hoop when this giant is defending?". Well actually I think looking back to the game when this photo was taken, they lost to Iran, Hamed Haddadi's team. LA Tenorio's height is 5' 8", but he is a great player in basketball. Jimmy Alapag is listed 5' 9" tall, but looking at the photo you'd say his height and LA's are the same. While the towering giant Hamed Haddadi is an enormous 7' 2" tall. If you guys want to read the article from spin.ph where I found the photo, here is the link.